Ahhh, with a name like Borders, just think of the political spin we could put on this! 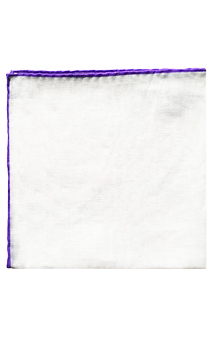 But such jokes would detract from the simple, classic perfection of these white linen squares with colorful, contrasting hand-rolled hems. 100% linen. Made in Italy. Approx. 15 inches square.